Cities. Suburbs. We’ve all been to them. Some of us live in them too. But today, nature is getting the short end of the stick when someone decides to start building away from the city. 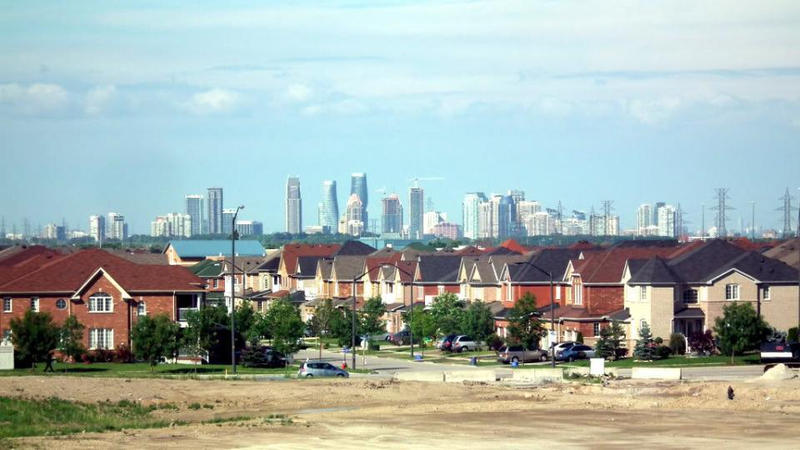 One of the biggest issues we face today is urban sprawl. Merriam-Webster simply defines it as, “the spreading of urban development (such as houses and shopping centers) on undeveloped land near a city.” This is something we are all probably aware of, but what we aren’t aware of are the effects that continuous outward development of cities are having on our planet. Let me ask you this question: do you shop? Do you enjoy going to strip malls? Most people would say yes. So when you hear that your city is planning on building a strip mall only ten minutes away from you, complete with your favorite stores and grocery, you will most likely jump on board. The consequence: it is tearing down a large patch of trees right by a friend’s house on their property. You often go there to relax and get away from your busy life, and nature thrives there. Your friend is devastated because the land has been in their family for decades. The city pays them for the land, and your friend gives up the plot. In the end, you support the city’s decision, and construction starts on the mall. This is a scene that is becoming far too common throughout the United States, and I have especially noticed it around the Midwest where I live. Living in a mainly rural area, but no more than 15 minutes away from a suburb of the Twin Cities, I have watched large farm fields grow into massive housing developments. This mass movement of homes causes detrimental effects to the surrounding environments. After a home is built, the land will no longer be usable for farm land, even if the home was to be torn down. Urban sprawl usually takes agricultural land, but without that land, we will get a shortage of resources they provide us in the long run. What will we do when all our nation’s farms are gone? Suitable soil for certain crops can be very hard to find, and often developers do not take that into consideration. In Canada, only 5 percent of their land is suitable for growing food, and over half the cities in Canada today occupy what used to be farmland. In the past few decades over 7,400 square kilometers (or 79,653,600,000 square feet) of farmland have been lost to urban sprawl. More than just the land is being hurt by this jump in urban space. As housing developments venture further away from city centers, more people have to drive to work and other activities, which creates more air pollution. We’ve seen in large cities, such as Beijing, the notorious smog that hovers over the city. With higher air pollution, respiratory issues like asthma and lung damage become more common. Although parks are present in most cities, there are not enough trees or plants to make the air cleaner and safer for the city’s residents. In addition to air pollution, urban sprawl also causes overuse of some natural resources. With more development, water is not distributed as well as it should be throughout the land, and people start to overuse water. Households install sprinkler systems that run more than they should. The dream of having a bright green lawn is nowhere in sight within a large urban area, but more suburban developments have large lawns with no way to upkeep them except for sprinkler systems. Another issue involves road construction. There must be roads to connect all the housing developments to the cities and other major areas. This causes even more deconstruction of farmland and natural land. Quite often, builders do not make these areas within walking distance from large stores, which means that driving is usually the only way to go, leading back to the air pollution. 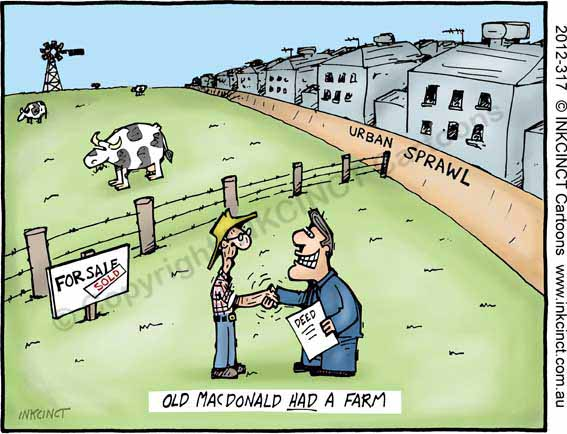 Urban sprawl is a growing issue within many rural communities. Developers must be aware of the environmental consequences. The combination of air pollution, resource overuse, and taking agricultural fields is causing more problems for nature. By being aware of the effects of urban sprawl, we can start fighting for the environment that provides for us.